The average unemployed person in America has looked for work for 39.7 weeks, or more than nine months. That is the longest average unemployment spell since the Labor Department started keeping track way back in 1948. So, how long have you been without work? Does it seem as if there are no jobs available at all? Has the idea of starting your own business crossed your mind? Maybe it should. Self-employment may be the best option after a layoff. And sometimes, it’s the only option. 1. 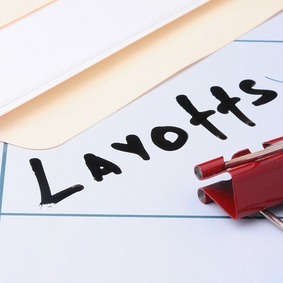 Your layoff may be part of an industry-wide slowdown. What’s going on in your industry? Is it possible that management was really telling you the truth when they said there’s no work? Sometimes – and in some industries – that’s exactly what’s happening. It isn’t anything you did or didn’t do. If your job loss was the result of an industry problem, there may be no job to return to. Your only choice may be to leave the industry entirely, and to start fresh somewhere else. If you have to make that big of a career transition, you might want to consider self-employment. 2. Industries that layoff people are often looking for contractors to fill the void. Even if there is an industry wide slowdown in your area or field, that can help you along with self-employment. Employers who lay off regular employees often make liberal use of subcontractors to complete the work that they no longer have employees to cover. This could be the beginning of your own business. Contact employers in your industry and offer your services on a contract basis. This may be especially productive if you try to work with smaller employers. They have specific jobs that need to be done, and they may welcome your offer to work as a contractor. This can be especially beneficial to them as this will avoid the need to hire someone on a full-time basis, with the built-in requirements of payroll taxes, insurance and benefits. Once you land one client on a contract basis, you can work on finding a second, and then a third. At that point, you’ll be self-employed. Mission accomplished! 3. Hedging your bets against a job that may never appear. If you have been unemployed for more than a few months, and finding very few solid prospects, you may need to confront the reality that you are done in that field or industry. Unfortunately, this fact often doesn’t make itself clear until well after the fact, when many months have passed and you realize that your attempts to find a new job were never going anywhere. Don’t be willing to give up on the search too easily. But you can use self-employment as an alternative strategy, just in case there really are no jobs. If you build a business while you’re looking for a job, you’ll be setting yourself up for two potential options. Either you will find the job that you’re looking for, or you will create a viable business that will eliminate the need for a job. And if it turns out that the job you were looking for was never actually there, you’ll have already done what you need to in order to deal with the situation. 4. You may not have anything better to do while you’re looking for a job. The reality in virtually any job field is that there are only a limited number of potential employers. And there’s only so much that you can do in an attempt to reach them. What do you do with the rest of your time? Well, you can sit around and worry – but that’ll be completely counterproductive. You can fill your days with busy work, but that won’t get much done either. You can also spend your time applying for a bunch of jobs you’re not qualified for, and that will just get you a great big pile of rejection letters. Or you could use it to do something productive. By working on building your own business – while you are looking for a new job – you will be developing skills and building new contacts. You’ll also be learning a lot about yourself – you may come to realize that you’re capable much more than you’ve ever shown in the past. And even if you do find a new full-time job, you may decide to keep your business as a side venture. You never know when you may need it again in the future, and in the meantime, you can always use a little bit of extra cash. Probably the biggest dilemma for most people to start their own business is deciding exactly what kind of business they’ll go into. This can be a tough decision, but you should start with what you know and go from there. Create a list of all of your salable skills – it doesn’t matter that you’ve never sold direct to the public in the past. If an employer has paid you to do a certain job, that represents a skill that you can convert into an income. Review your resume, and determine exactly what skills you have that found favor with employers in the past. The key to starting a business is to begin with the skills that you already have. You may need to perfect those skills, or even to add some additional ones, in order to make them salable, either to the public or on a business-to-business level. So be it – these are your strengths and that’s what you need to play into. You can also take a different approach. Start by thinking long and hard about what it is you want to do for the rest of your life. Once you make that determination, look at your skills and see which of them will help you in that business. You may be surprised at what you find. And even if you don’t have all the skills that you need, you might be able get where you need to go by adding two or three new skills. Once you can match your career passion with the necessary skills, you’ll have all that you need to start and run your own business. In the meantime, what do you have to lose? And if you’re unemployed, that’s something that you need to seriously think about. Does self-employment sound like a good option to you? Why or why not? Leave a comment! I have a health problem that means I really can’t feasibly work outside the house. If I got laid off, there’s almost no hope getting another telecommuting job in this industry. Most of the other companies have a strong community and don’t do telecommuters, let alone ones in another state. But I’d still ask. Then again, I’m basically a contractor now. So I don’t think I’d qualify for unemployment. I’d have to start scrambling immediately.